WHAT ARE DIFFERENT KINDS/TYPES OF STONE FINISHES? 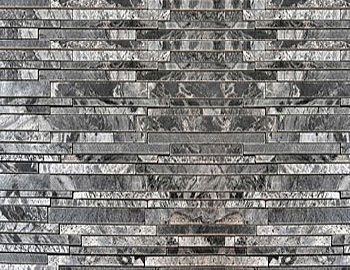 Natural Cleft Unique to slate & sandstones, it has a slightly uneven surface that is still usable for flooring. 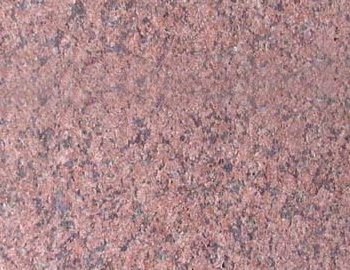 This finish cannot be created, but occurs naturally as the layers are quarried. One side (back side) can be gauged to facilitate ease of "thin set" installation. Some marbles, granites and limestones are available with heavy clefting, suitable for wall installations or paving purposes only. Grinding, sanding, and buffing produces a high gloss, mirror-like surface. Polishing can be done only on crystallized stones. A polished finish doesn't affect the porosity of the stone. A polished finish is quite popular as it enhances the color and markings of the material. A stone with a polished finish is very smooth and reflective. 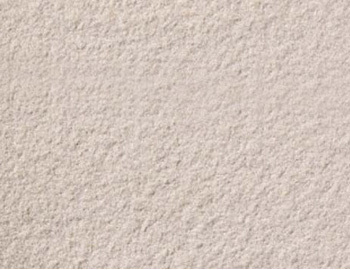 This type of finish is used in reception areas, where marble, granite and some harder limestones are laid. The most popular uses of polished stone are in; interior and exterior wall cladding, Interior and exterior paving, Fireplace facing and hearth, Lavatory tops, Residential & Commercial counter tops, Table Tops etc. A high gloss and reflective surface finish that brings out the colors in the stone. The polishing of natural stone follows the same process as honing using finer abrasives. The degree of polish of the natural stone is determined by its mineral elements and texture and not all natural stones can be polished. Usually recommended for wall covering, polished stones are not usually recommended as stone flooring due to their low slip resistance value. Grinding and sanding produces a smooth, yet not glossy finish. This is best for low maintenance, high traffic applications. Honed finishes unlike polished finishes are not reflective. The honed finish is a satin smooth surface with little light reflection. 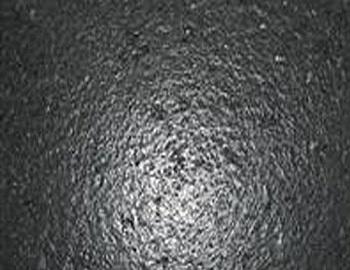 This finish is often used on walking surfaces and other areas where heavy traffic would wear off a polished finish. Honed finishes are used in interior wall covering. It can also used on the exterior in warm environments, table tops, very light duty residential flooring, etc. A smooth matt to light shine surface finish (depending on the stone). Created using different grades of abrasives under factory conditions, honed stone is the most commonly used and recommended internal floor finish. 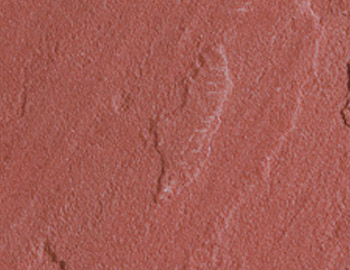 A flamed finish is one of the most popular finishes for external use where slip resistance is a concern. It is produced by applying a high-temperature flame to the surface of the stone which creates thermal shock and causes the inherent crystals to fracture, resulting in deeply textured surface ideal for external surfaces. 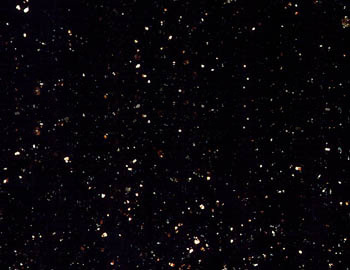 This finish is mainly used on granites, and will hide surface imperfections and tone variations. In stone with yellow shading such as Honey Jasper it oxidizes the iron components and enriches the yellow to making it pale orange/pink, this create a rich, dramatic effect in originally quiet colors. This is a rough, but tidy look created by applying a high pressure blast of sand to the stone's surface. A sandblasted finish creates a finely textured surface ideal for use in traffic-ways. Applying a high-pressure jet of water mixed with sand, this treatment softens the color and characteristics of the original stone. Available only in some varieties of marble & granite, this finish gives the stone a suede look and feel. This texture is smooth and slip-resistant. Any stone used as a decorative facing material as wall cladding which is not meant to be load-bearing. 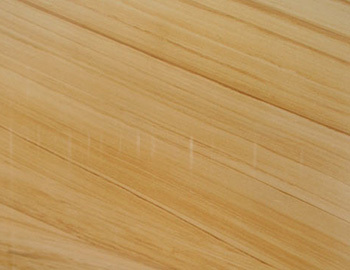 Veneer may be made from different finishes, such as split face, cleft, honed, polished, flamed or tumbled. This stone is tumbled with sand, pebbles etc to create a weathered, aged finish. 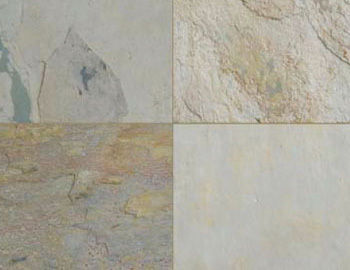 An antique finish gives stone an aged appearance by replicating use and wear. Tumbling & at times acid wash is applied to surface of the stone which etches the surface of the stone. This generally dulls the color of the stone. The surface is then be brushed with mechanical wire bush to make the stone smooth and slightly restore the color.